RSC Publishing would like to give advanced notice that the RSC Publishing Platform will be unavailable 08.00 – 08.20 GMT on Tuesday 2nd August 2011 due to essential maintenance. RSC Publishing would like to give advanced notice that the RSC Publishing Platform (www.rsc.org/platform) will be unavailable 08.00 – 08.20 GMT on Tuesday 2nd August 2011. At the RSC, we’re keen to ensure that you get the performance you require from our RSC Publishing Platform and we are aware that some international users have not experienced the Platform speed that we would like as we’ve been measuring the performance over the last few months. As part of our commitment to providing you with a faster Platform, we’ve worked closely with our team in IT to speed up the delivery of content and we’re now seeing reduced page load times for article landing pages around the globe with pages loading in half the time they previously took in some areas. This blog provides important and relevant information on the RSC Publishing Platform migration, training, Highlights, OCLC MARC records and changes to free access content. RSC Publishing is very pleased to announce that we have now signed an agreement with OCLC to supply all our RSC eBook Collection and Subject Collections customers with OCLC MARC records free of charge. DON’T HAVE AN OCLC AUTHORISATION NUMBER? If you don’t have an OCLC authorisation number, you may submit the PDF version of the form and either fax or mail it to OCLC. You will not be making any payments for RSC Publishing MARC records – these are at cost of us. They are still free for everyone to access. Plus, a selection of the content will be published in print as part of the Research section of Chemistry World. The original RSC Publishing research, on which the articles are based, will be free for a limited time. All published issues will be freely accessible from the RSC website. Originally launched back in 2004 to provide a news service drawing together coverage from all RSC publications, the supplements have provided a vehicle for wider promotion of the most cutting-edge science published in RSC journals. 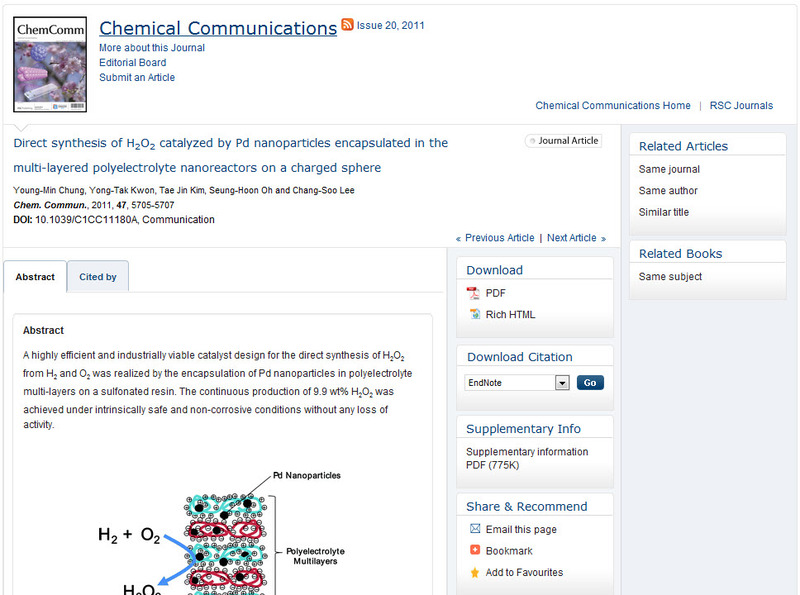 By moving to Chemistry World, articles will have the opportunity to reach even wider audiences. All RSC Publishing customers and those on free trials with registered IP addresses no longer need to request to receive our free access journals – this is now provided to you automatically. This means your students, academics, scientists, researchers and professionals can now access free content available on the RSC Publishing Platform when going through your institution or organisation authentication. All content of our newest journals for the first two volumes. 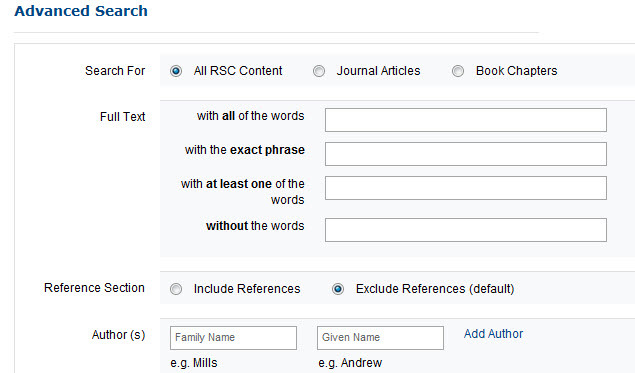 This update provides new and improved functionality for the RSC Publishing Platform. A new drop-down enables different types of simple searches to be accessed from every page on the Platform. We intend to add a structured ‘Reference Search’ option to the simple search in the near future. These options provide access to a more focused simple search functionality. For more complex searches, such as author searches, the Advanced Search is recommended. The layout of the Advanced Search has been improved and all the functionality is now accessible from one page. Helpful ways to apply search logic have been added, whilst retaining Boolean logic in the main search dialogues. 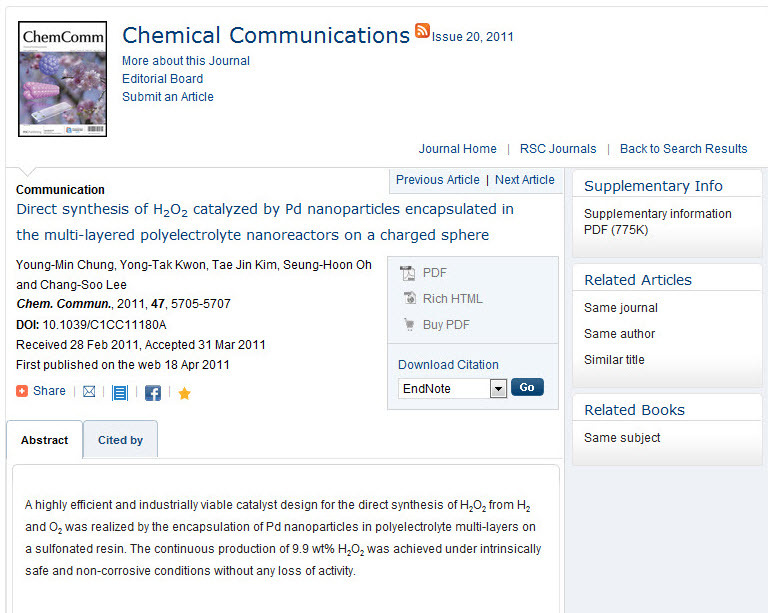 Following user feedback, we have added the ability to search within the reference section of articles, for example if you want to find which RSC articles have cited a particular author or article. When searching within a journal using the Advanced Search, we now show the full title of the journal, rather than the abbreviated title. 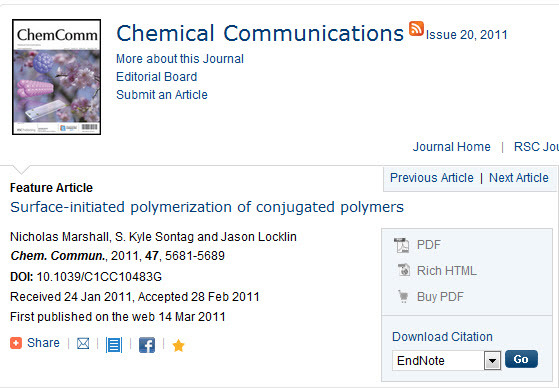 The layout of the article pages for journals has been updated to add the dates of publication. The layout of the page has been tidied by making the download section a ‘floating section’ whilst keeping navigation clustered on the right. A note has been added to the ‘Cited by’ tab to make users aware that the data is collected from a CrossRef Cited-by service, explaining both the short delay in fetching the data and any differences between the citations found compared with other citation tracking services. 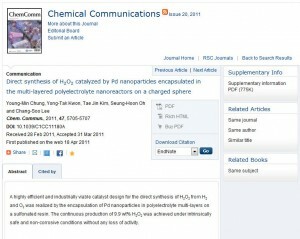 The print view has been improved for contents listings (issue listings and advance articles). The setting for viewing graphical abstracts should now be retained during navigation (Expand All/Collapse All). We apologise that we have withdrawn OpenURL linking from our Journal Article HTML because our Platform was producing badly-formatted URLs. A patch fix is under development. 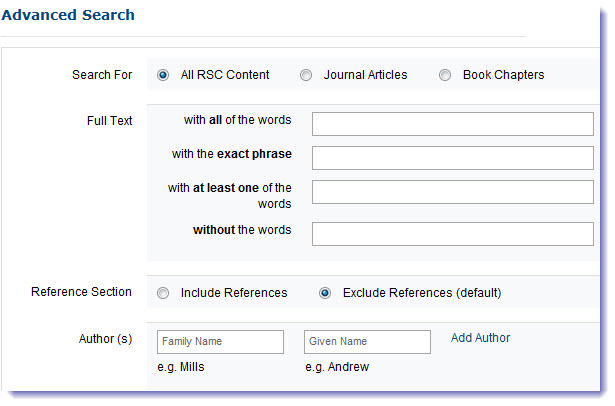 For today only, we have reduced the number of articles that appear on each page of the content lists for journals. We are testing the effect this change has on site performance (speed) and will return to the normal listings tomorrow. Apologies for any inconvenience this test may cause. You may notice that articles for an issue of a journal may now appear on two or more pages, when before they normally were listed on a single page. We have temporarily disabled our Institutional Branding service across the RSC Publishing Platform. We have identified that recent performance issues across the Platform were being caused by this service and so to maintain good access speeds for our users, we have disabled the service whilst we are investigating and fixing the underlying technical issues.